Contemporary style meets traditional service at this luxury hotel which is just moments away from the CBD and the Crown Entertainment Complex. 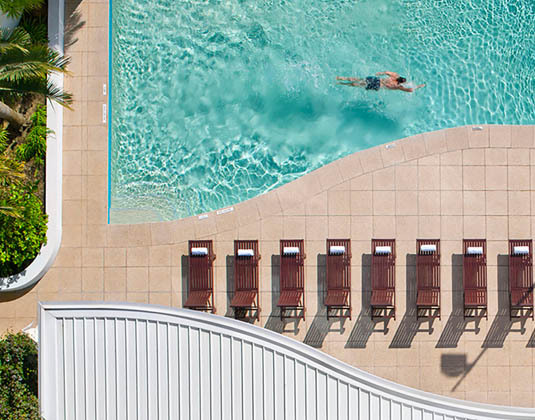 Be sure to soak up the renowned Perth sunshine at the outdoor pool or perhaps visit the well-equipped gym. The fantastic location also gives access to seven restaurants and eight bars. In superior rooms with air-conditioning, bath/ shower and mini bar. Studio spa suites which feature a luxurious bathroom with oversized spa bath. FREE nights 3 for 2: 01 Apr 18-31 Mar 19. Offer does not apply to Saturday nights.